Today I decided to go for another walk. It was a little easier then the mountain but much more beautiful. 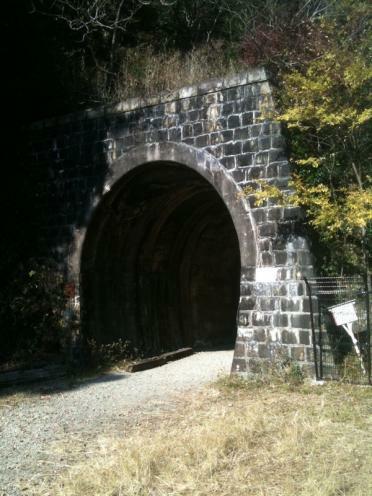 It was a abandoned railway that I could walk along from takadao jr station to namaze another jr station. The walk was soo great. Kire sugiru. It was a big long but really flat. There were some tunnels too. One was maybe 300-400metres long and pitch black. I brought a small torch but it probably wasn't enough. Near the end of the track I met and elderly couple. They didn't speak English but the woman was really keen to hav a conversation with me. I know Hardly any Japanese but we managed to talk about where I was from and how beautiful the area was. She told me how to get to the train station too. She was from a place called itami. It's not far from kawanishi.